CALS will honor two of its own very accomplished scientists and three leaders in Wisconsin agriculture at the annual Honorary Recognition Banquet on Oct. 16. CALS will present the Honorary Recognition award to William Oemichen of the Cooperative Network and to veterinarian and cattleman Larry Smith. 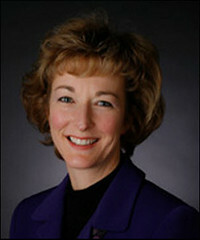 Shelly Mayer of Professional Dairy Producers of Wisconsin (PDPW) will receive the CALS Distinguished Alumni Award. The CALS Distinguished Service Award will go to Michael Pariza, longtime director of the Food Research Institute, and to David Wieckert, Professor Emeritus of Dairy Science. These are the highest honors bestowed by the college. The Honorary Recognition Award, established in 1909, recognizes individuals who have made significant contributions to their professions, their communities and the university. The Distinguished Alumni Award, which recognizes outstanding lifetime achievement and service, has been presented since 2009. The Distinguished Service Award, first presented in 1994, recognizes meritorious service by CALS faculty and staff members. The awards will be presented at the CALS Honorary Recognition Banquet on Thursday, October 16 in the Varsity Room of Union South, 1308 W. Dayton Street, Madison. Friends of the honorees and of the university may register for the event at www.cals.wisc.edu/honorary/ or call (608) 262-4930 for more information. William Oemichen, New Glarus, is the president and CEO of Cooperative Network, an association that serves more than 600 member-owned cooperatives in Minnesota and Wisconsin by providing government relations, education, marketing and technical services. His numerous contributions to the university include current and past involvement in UW Center for Cooperatives, Wisconsin Idea Board of Visitors, CALS Dean Recruiting and Selection Committee, CALS Strategic Planning Committee, and as member and chair of the CALS Board of Visitors. He has also been an advocate for capital building projects and a strong supporter of CALS students. Larry Smith, Lodi, attended the UW-Madison where he received his bachelor’s and master’s degrees in food science. He then went on to Iowa State University to obtain his doctorate in veterinary medicine. Larry owns and operates a 760-acre stocker cattle farm in Viroqua. 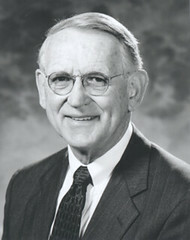 In 1965 he founded the Lodi Veterinary Hospital, retiring in 1990. From coming to campus as a guest lecturer to serving on the UW-Madison’s advisory board for the Wisconsin School for Beginning Dairy and Livestock Farmers, Larry has been a great university partner. His research in the area of cattle parasites and experience with pasture-based farming and cattle grazing have earned him the respect of UW faculty, UW-Extension and many others with whom he has collaborated and shared his knowledge. Shelly Mayer, Slinger, executive director of the Professional Dairy Producers of Wisconsin (PDPW), received her agricultural journalism degree from the UW-Madison. PDPW is the nation’s largest dairy producer-led association of its type, focusing on education, networking and professional development to help dairy farmers build more profitable businesses. Under Shelly’s leadership, PDPW has grown from 50 members and a $10,000 annual budget to more than 1,600 members and an annual budget of $1 million. In addition to her work at PDPW, she and her husband own and operate a dairy farm in Slinger. Shelly currently serves on the CALS Board of Visitors, is an active volunteer in her community, a mentor to students and a valued spokesperson for the dairy industry. 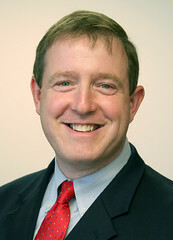 Michael Pariza, Madison, earned his bachelor’s degree in bacteriology at the UW-Madison before going to Kansas State University to obtain his doctoral degree. He then returned to the UW-Madison and eventually became chair of the Department of Food Microbiology and Toxicology and a Wisconsin Distinguished Professor. 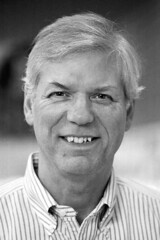 Mike served as director of the Food Research Institute (FRI) from 1986-2008. His leadership kept FRI at the forefront of research in food safety and the health benefits of foods, and made him a highly sought-after consultant to the food industry and government agencies. In addition, Mike’s research on conjugated linoleic acid earned him national and international respect. David Wieckert, Middleton, has been involved with the UW-Madison Department of Dairy Science since his early college years. 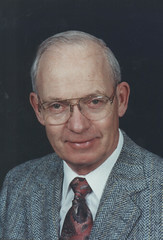 He received his bachelor’s, master’s and doctoral degrees from the department before joining the faculty in 1963. David’s loyalty is demonstrated by his service to the university, the state and the international dairy community. Over the past 25 years, he has hosted more than 30 groups of international dairy producers at World Dairy Expo and other dairy-related events. David is a generous mentor, whose passion and appreciation for the dairy industry are contagious.